The Humane Society of Camden County, Inc. helps not only lost and stray animals but also provides services to everyone in the community. These include reuniting lost animals with their families, providing shelter and placement opportunities for stray and abandoned animals, as well as providing education aimed at reducing the number of unwanted animals and promoting a quality life for all animals. As you can see from this page, there are a variety of ways that you can help! While donations of any kind are always greatly appreciated, financial donations allow us to purchase many items in bulk or items specific to our needs. The more financial support we receive the better the quality of services we can provide to you and the lost and homeless animals. Simply click the button below to make your donation now! Humane Society of Camden County, Inc.
Of course, if you are in the neighborhood, please feel free to stop by and drop off your donation in person at our facility. A Friendship Plaque is a way to show your support for lost and homeless animals while honoring someone special. The bronze plaque will be engraved to your specifications and permanently mounted in the lobby of the shelter in recognition of the pet or individual. 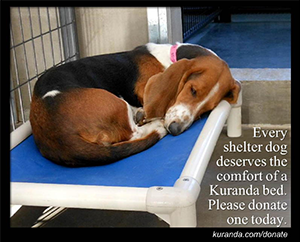 Your contribution is tax deductible and the proceeds are used to support the humane society. Stop by the shelter today to obtain your application. Even if you are not interested in a plaque, you can make a donation in memory of a loved one. If you provide us with the names of the individual and the family member, we will send an acknowledgment letter. As you visit businesses in town, you may notice Humane Society collection cans. Money collected in these cans is used to help the HSCC continue its important mission. You can help by dropping in your change. Thanks!